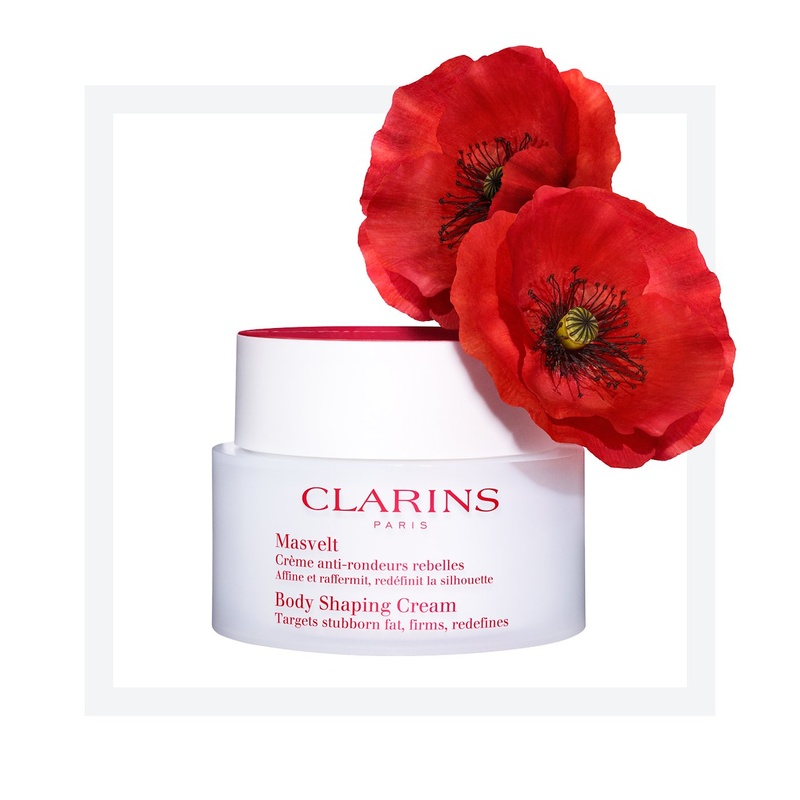 Clarins Body Shaping Cream is a slimming cream for targeting stubborn areas. It is suitable for Normal, Dry, Combination and Oily Skin (all skin types). A body cream that has a creamy texture that is to be applied morning and/or evening. The ultimate contouring care with a reinforced action to fight stubborn fat. Combining effectiveness with pleasure, Body Shaping Cream offers triple refining, firming and beautifying benefits. It has an incredibly soft, smooth and creamy texture designed for massage.This fresh, comforting cream contains ingredients that aids in shaping and sculpting the body. Ultimately resulting in a firmer, smoother and moisturized skin. Hence, leaving skin perfectly soft, supple and satin-smooth. Poppy extract helps to reduce the look of stubborn curves. Caffeine is an active ingredient well known for its slimming effect. Hibiscus flower extract with exfoliating properties. Betaine from beetroot encourages skin hydration. Roselle helps to hydrate and smoothens the skin. Apply a dab of cream by massaging them into concerned areas – midriff, waist, hips arms and knees. Use circular motions to massage around the midriff, waist and hips, and vertical motions from bottom to top for both arms and knees.